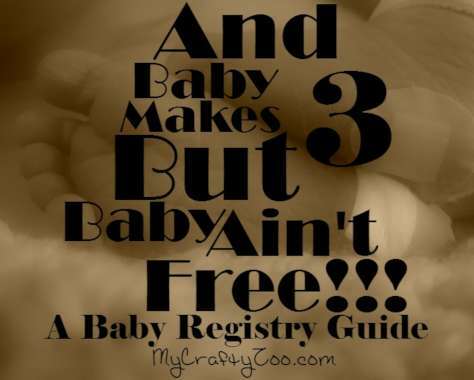 Baby Registry: And Baby Makes 3 But Baby Ain’t Free! What you need, where to go, best baby products we’ve tried, and even baby DIY projects! Â Letâs face it, half the time people donât bother to look at baby registries.Â Until I was pregnant with my first (natural) child, I didnât either. The thing is, having one from birth I realized how much I needed the things I registered for and how much I did not feel like or have the time to go and get them when baby came and I hadnât gotten around to picking those last things up. Let me tell ya, no matter what gift I want to give someone for their little one (I love making stuff as gifts), I now at least buy some little something off the registry.Â Odds are, they chose that item for a reason. 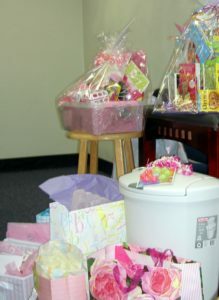 Â A great baby registry is essential to easing the worry of preparing for your new blessing. Not everyone has the time or inclination to register everywhere.Â It can be monotonous and when you are good and pregnant, it doesnât take long for your feet to let you know that they are done with your nonsense!Â So, hereâs a little list of some great places to register and why.Â I chose to cover some online as well as offline places so that those who donât shop online still can get to a registry! There are so many things we can register for it can be incredibly overwhelming, especially for first time Moms!Â I canât tell you how much I researched each big ticket item to make sure it was safe and educational or whatever. I went a little crazy on those things, but nothing for the best for baby! Â My favorite place I found for ratings, opinions, etc was the Parent’s Choice Awards, put together by a non-profit, every item is rated by parents using their experience with them. Â Who better than other parents who have been there! For the most part, we all tend to gift the same things for the new bundle of joy: that adorable outfit we saw and they just had to have, diapers/wipes, pacifiers, bottles, etc.Â All that stuff thatâs on the âdonât forgetâ checklists that they have in every store and every website which things are all great and totally necessary, but more often than not we end up with multiples and have to return items. 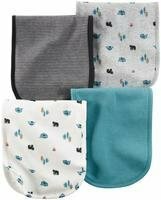 Burp Cloths AKA Super absorbent spit rags : spit up happens, a lot!Â Nothing worse than not having a rag on hand, except maybe having a rag that doesnât soak it up! Nose Sucker:Â NoseFrida seems to be the most loved one, newborns need their nose suctioned and you are gonna needÂ one of these! 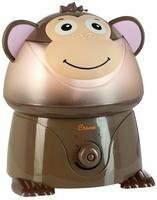 Humidifier:Â I mean honestly, breathing is one of those top priorities!Â A humidifier will help keep your little one from being congested, the better they sleep the better you do, which means the better you can meet babyâs needs and yours! This one has a night light to project on the ceiling, helps put baby to sleep so fast!Â Their little eyes can’t resist sleep watching this, my baby girl would be out in seconds watching them! White Noise Machine: there are a ton to choose from, they fit every theme.Â They will help soothe baby, going back to that âeveryone restingâ thing. Gel Pads: If you are going to breast feed, your breasts will be sore.Â There are many great products out there that help with soothing sore breasts, get some!Â Youâll be glad you did. Batteries: I suggest rechargeable, youâll be glad you can recharge rather than have to go to the store, not to mention how much better they are for the environment.Â Plus, if you are registered for them you or your family/friends may get a discount and thatâs always helpful! Infant Tylenol:Â Youâll want to have this on hand from the start, you donât want to have to scramble and run to the store when baby spikes a fever in the middle of the night. Â You can learn more about how and when to give infant’s tylenol on their site. 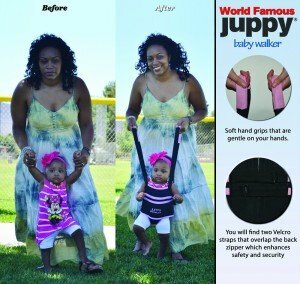 no matter how young and in shape you are, bending over helping baby learn to walk can get painful!Â Check out this product and save yourself some pain! The American Society of Orthopedic Surgeons has a great article on how new parents can prevent back pain, we’ve got plenty of stress we don’t need pain distracting us from what’s important! : whether getting back in shape is a priority or not, this will help you so much when you go out, everything being convenient is important for keeping sanity and saving time when we donât have time to worry about little details! Baby First TV: I Can Sign: Communication is one of the most important things we have, teaching your little one to sign from a young age will enable them to tell you their needs before they are able to verbalize them. Teething Necklaces are great!Â Plus, if you are getting them for a new mom, you know you’ll get her something she both needs and probably won’t get for quite some time! You can read this review here!Â What parent doesn’t love being ahead of the game!!! 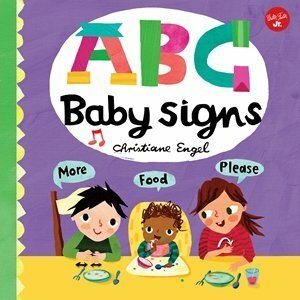 ABC Baby Signs is a fun little cook to help you and baby learn to sign as early as 6 months! How great is that? Baby will be able to actually tell you what they want when they are upset! Definitely a win in my book! Here’s the deal, the one with the best benefits I’ve found (and I looked everywhere I could think of) is Diapers.com Â If there are some other great ones, please let me know in the comments. Sadly, we all know about ToysRUs.Â So, this registry has been dropped to two.Â We’ll miss you ToysRUs! Diapers.com: free shipping for everyone who orders off of your registry as well as free returns, 15% discount for you, your friends and family to use when buying things off your registry and an additional 10% code about 6 weeks before your due date. âShip it laterâ (I LOVE this one!) allows you to have certain items on your registry that are purchased to be shipped at a set date in the future (maybe when the nursery is complete)! Amazon:Â Free 90-day returns, you get a completion discount when your registry end date comes (up to 15%! ), freebies such as ebooks and discounts along with some limited time offers like welcome boxes (depends on timing), you can add items from any site to the Amazon registry, and a thank you tracker to help you keep things in line. We all love free stuff, parenting is expensive and the combination makes finding freebies crazy important!Â Plus, getting them in the mail from time to time is always a blast!Â Here is a list of freebies Iâve found and Iâll add more as I find them! 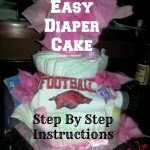 No Baby Registry Guide would be complete without some awesome DIY tutorials.Â Or at least, I donât think it would be!Â Here are some links for my favorite ones.Â Iâll come back and add more as I find them, but this is a great starter!